I tend to go a bit leek crazy. Whenever I see them at the farm or the farmers' market, their white curly ends and smooth white-to-green stalks pull me in. I hand over my money and I'm suddenly filling my wrinkled cloth bag with bunches and bunches of leeks. Their dark green tops peek out the top of the bag and look so cheerful on the way home. But once in the fridge – once I've cleared a whole shelf in the fridge because, let's face it, leeks are not small vegetables – it's a different story. Their leaves get a bit wilted and I remember how much work it is to wash all that pesky dirt out of leeks. In short, I feel overwhelmed by a vegetable. 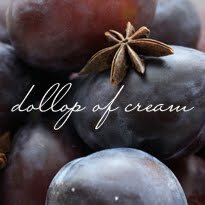 Luckily, I stumbled onto this recipe last summer at just such a time. It's from Beyond the Plate and it only has four ingredients: leeks, heavy cream, freshly-ground nutmeg and gruyère cheese. 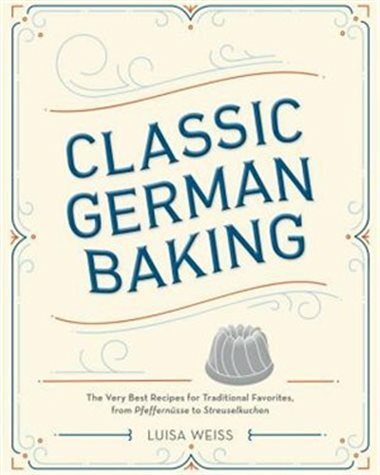 I was a bit dubious, until I read that Danielle's husband learned the recipe in Switzerland. Really, that was enough. 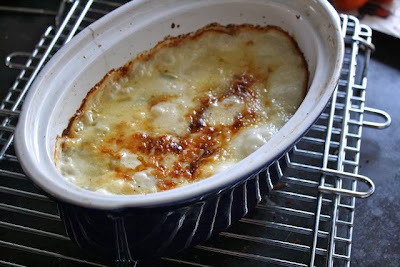 If anyone knows how to make gratin, I believe it would be the Swiss. And they do. And now I do. And so will you, if you make this. The technique is brilliant: simmer the heavy cream and a bit of the leek cooking water down until it's thick and pre-gratin-y (that is a new word I just made up!). Stir in a good amount of nutmeg, season it with salt and pepper, coat the tender leeks with the sauce and cover it all with a good lid of gruyère cheese. The leek magic is realized and there is suddenly nothing else I would rather eat. I reassure myself that buying bunches and bunches of leeks was actually a very wise decision, and I dig in. P.S. Thanksgiving is coming, and I do believe this would be a show-stopper side dish on your Thanksgiving table. Just sayin'. 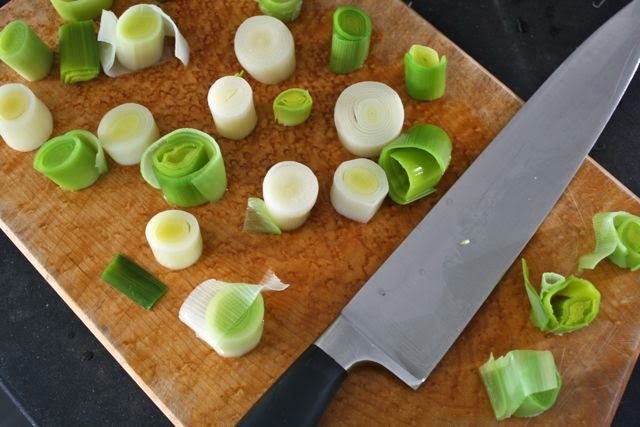 First, start by preparing your leeks. Trim the end off each, then cut discs about 3 cm (1 inch) thick. The first couple disks will be white. After that, cut off a layer of green leaf and rinse it for each disc. This will keep the pesky dirt hiding in the leek away from your gratin and help make sure you're using the tender part of the leek. Put the leeks in a pot with enough water to cover. Stir in a big pinch of coarse sea salt. 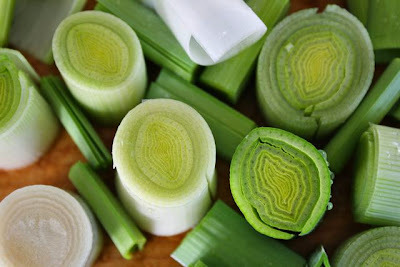 Bring to a boil, then simmer the leeks uncovered for 5 minutes. Take 1/4 c. of the cooking water out of the pot and set it aside. Drain the leeks and set aside. 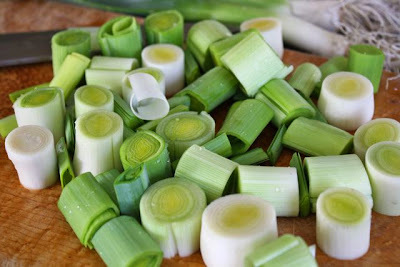 While you are waiting for the cream to thicken, chop the leeks into quarter-discs. 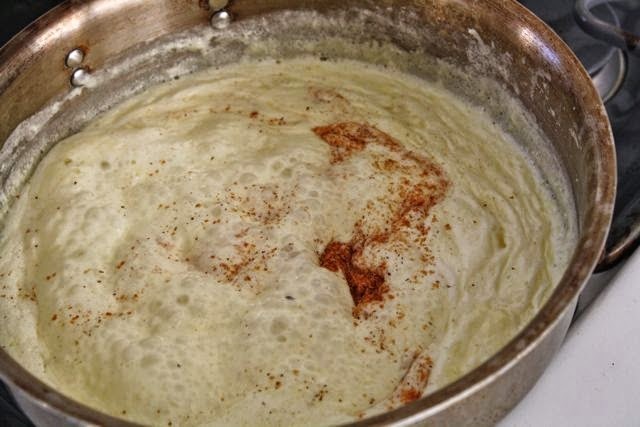 One the cream has thickened, add nutmeg, salt and pepper to taste. Stir in the leeks and keep stirring until they're well coated. Turn the heat off and spoon your creamy leek mixture into a casserole dish (preferably a wider dish than the one I used above). Use the back of the spoon to even it out in the dish. Toss on the cheese to cover the creamy leeks. Bake for 20 – 30 minutes, or until the gratin becomes golden brown. Let it rest on a rack for 10 minutes before serving. 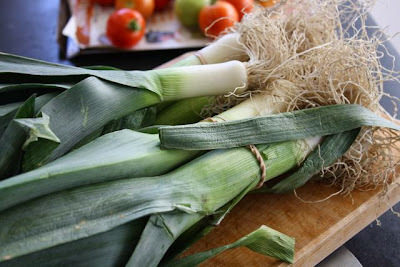 * Leeks come in wildly different sizes. One kilogram could equal anywhere from 2 very large leeks to 7 smaller leeks. Try to weigh them at the store so you know what you're dealing with.